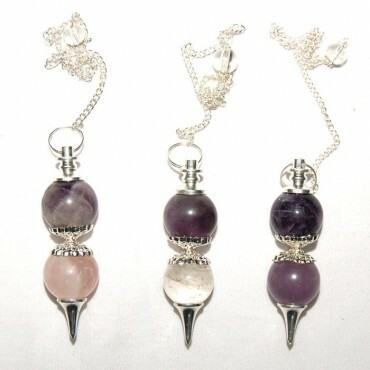 Natural Agate brings you Double Ball Quartz Pendulum. The two balls can be made from same quartz or from different quartz. The length of the pendulum is 20-50mm.